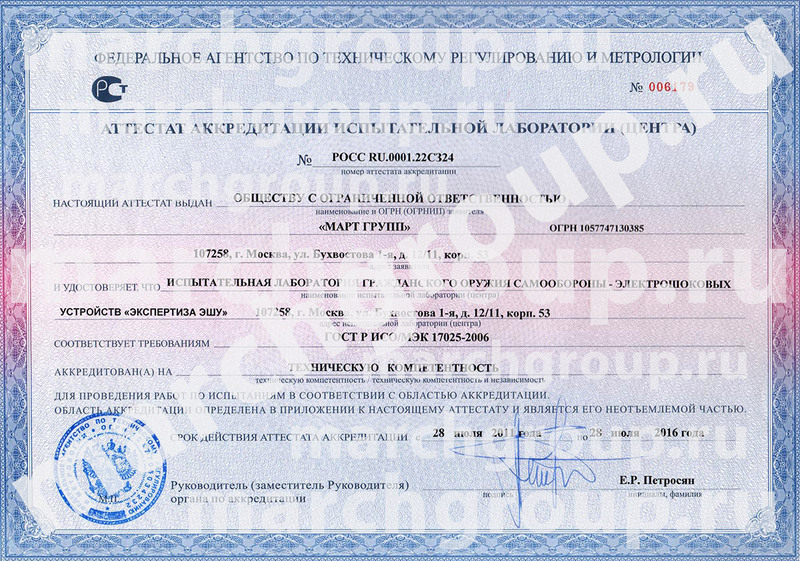 As part of the company there is an accredited laboratory «Ekspertiza ESHU». Laboratory «Ekspertiza ESHU» was based on the corporate in 2000. It gives an opportunity for progressive improvement of stun gun's technical properties. Accreditation scope of testing laboratory of non-military defense weapon - electroshock weapon «Ekspertiza ESHU».